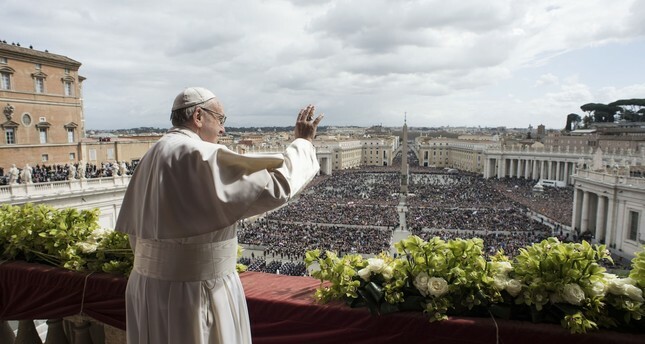 Pope Francis, in his Easter address on Sunday, called for peace in the Holy Land two days after 15 Palestinians were killed by Israeli soldiers on the Israeli-Gaza border, saying the conflict there “does not spare the defenseless”. Israel’s defense minister has rejected calls for an inquiry into the killings by the military during a peaceful Palestinian demonstration. He spoke a day after the Assad regime command said it had regained most of the towns and villages in eastern Ghouta. Tens of thousands of people have now evacuated once-bustling towns in the suburbs east of the capital, which had nearly 2 million people before the start of the conflict and were major commercial and industrial hubs.